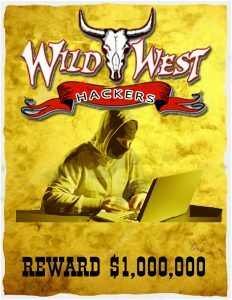 Welcome to the digital Wild West where technical burglars wait to steal your information. System vulnerabilities are a hacker’s best friend. When exposed, the hacker can sneak into your company’s supposedly “secure” computer environment and you better be ready for the potential consequences. Consider, Home Depot, Target, Citibank, PayPal, LinkedIn, and Twitter; to name just a few, all have at least three things in common. They have multi-million dollar cyber security budgets, maintain an international presence, and they have each been cyber victims. While each attack was different in method, the scope was similar and the result was very costly in dollars, shareholder dissatisfaction and corporate prestige. These attacks surely could have been prevented. However, other attacks would have been successful. That is how hacking works. No one is 100% safe and no single solution is 100% successful. To be successful one has to understand that security is both an art and a science. The science revolves around a dynamic security-in-depth strategy which should leverage multiple technologies. It also requires the knowledge, understanding and ability to use different methodologies to implement the correct strategies and achieve the goal of safeguarding the enterprise. The art focuses on one’s ability to think like an attacker. There are hundreds of variables that must be considered. How do they choose their targets? What makes one target more of a risk than another? How would they attack? What would they focus on? Success can only be achieved by leveraging experiences, developing a well thought out strategy; developing repeatable security policies and practices and employing the best technology for your particular environment. We specialize in providing tailored cyber security solutions that are designed with only your mission in mind. Understanding the “Who”, “What”, “When” “Why”, and “How” of your business allows us to provide the best security consultation to our customers. We take a 360° holistic approach to cyber security, which seeks to balance cyber risk with business risks. The result is a risk posture that will meet the needs and standards of your C-level executives and your Board of Directors. Learn more about our unique Retainer Based concept that focuses on developing meaningful protection for your company’s information assets at a fraction of the expected cost.